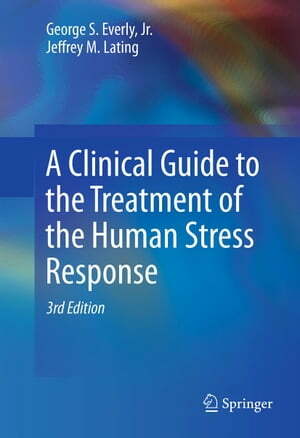 Collins Booksellers - A Clinical Guide to the Treatment of the Human Stress Response by George S. Everly, Jr. & Jeffrey M. Lating, 9781461455387. Buy this book online. This new edition emphasizes the unique contribution of this longstanding text in the integration of mind/body relationships. The concept of stress, as defined and elaborated in Chapter 1, the primary efferent biological mechanisms of the human stress response, as described in Chapter 2, and the link from stress arousal to disease, as defined in Chapter 3, essentially remains the same. However, updates in microanatomy, biochemistry and tomography are added to these chapters. All other chapters will be updated as well, as there has been significant changes in the field over the past eight years.